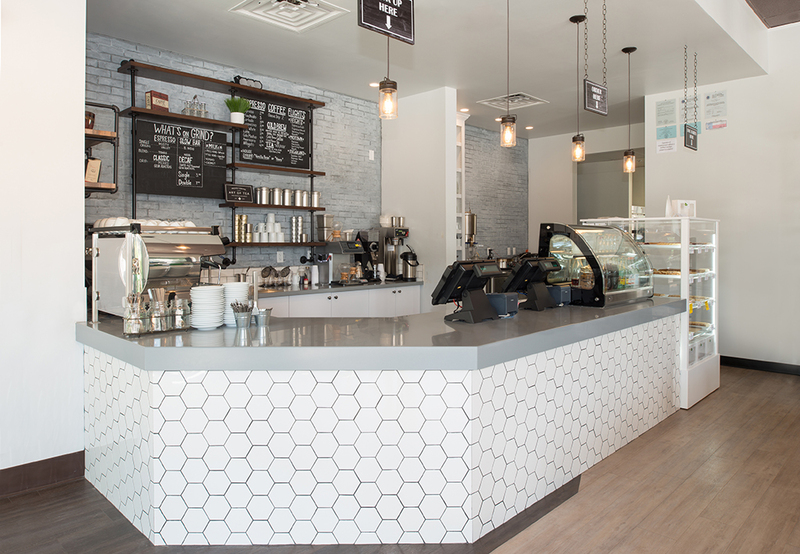 Blonde Biscotti – Fish Construction, Inc.
Blonde Biscotti is a new, privately owned coffee and biscotti bar, located in Houston’s Montrose neighborhood. 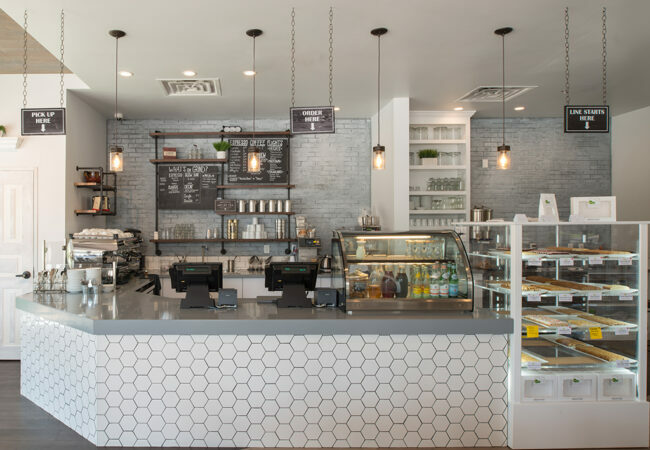 They serve an array of different flavors of soft-baked biscotti, espresso, tea, a variety other drinks, as well as some additional breakfast items. 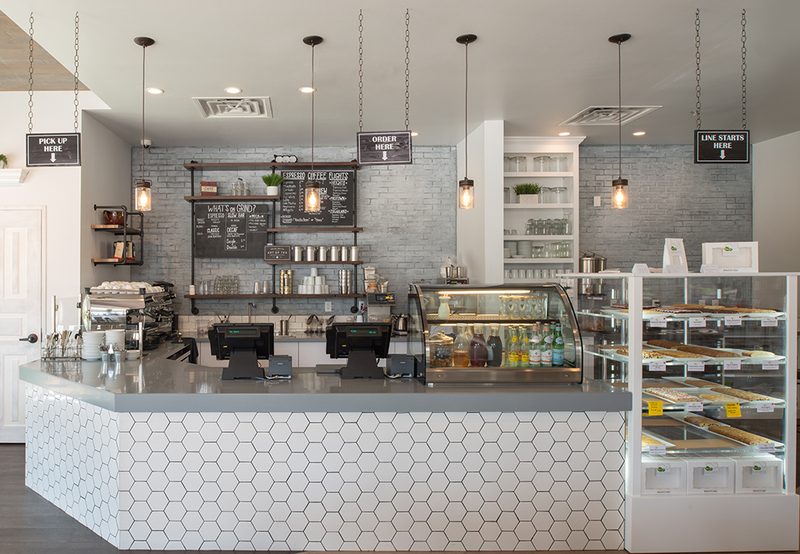 FCI provided a front bar, POS stations, and serving area fabricated from solid surface materials supported by stainless steel legs. We also fabricated storage cabinets, a large decorative display unit along the back wall, and some rustic pipe wall hung shelving units which incorporate menu boards. 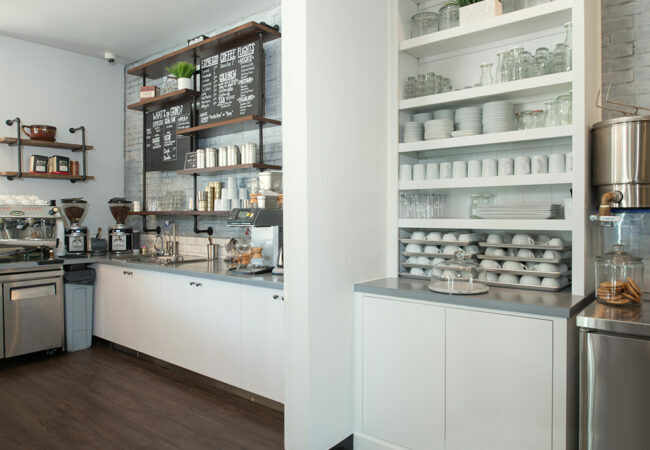 The focal point of the coffee shop is a beautifully lit display case, fabricated out of solid surface and clear acrylic that allows for a large viewing area of the many biscotti and other pastries that Blonde Biscotti has to offer.